Now that the umbrella of "protection" by corrupt officials and law enforcement evaporated once President Trump took office many unscrupulous officials, judges, attorneys, cops, etc. will be investigated and prosecuted . 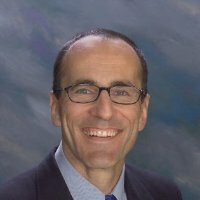 Richard Varn, the Presidential Appointee at the Center for Advanced Technology and Neuroscience at Educational Testing Services is once such dishonest, unethical, corrupt person. City Attorney Michael Bernard ( brother of White House Social Secretary Jeremy Bernard) , Attorney Malinda Gaul and other attorneys concealed the 2007 deposition of CIO Richard Varn, Administrative Directive 6.12 and other material evidence from the Court. Judge Antonia Arteaga concealed the document and refused to grant a motion for a new and fair trial. Varn's deposition shows that he knew nothing of the variable billing account or budget procedures BUT that he went on to present false testimony to the Court after ALL attorneys conspired to conceal the deposition and other critical material evidence. Gaul and other attorneys kept City Administrative Directive 6.12 hidden from the Court thus allowing CIO Varn and others falsely testify that the "variable" billing account was created to help balance the budget, to pay for "pop-up" expenses and to allow Department Directors a means to get funding outside of the budget - all lies...... AD 6.12 shows that the "variable" billing account was created in 1982 to simply consolidate and pay the City's Centrex ( 207 #s) phone bills. Prior to 1982 each department received their won bill and many times bills were not being paid on time. The Finance Department set up a procedure for the IT Department to pay the bills and charge each department for their fair share of the cost...nothing more. AD 6.12 shows that CIO Varn and others presented known false testimony to the Court when they said that the "variable" was a legal means to get funding outside of the budget, to pay for "pop-up" costs and to adjust department budgets during the fiscal year...all lies. With the expert coaching from the City's attorney table Varn falsely testified that it was legal and an approved practice for Department Directors to wander over to the IT building and pick up millions of dollars to help balance their budgets when they ran out of funds hallway through a budget cycle with no public input, no Council vote, no Finance Dept. approval, no ordinance, etc......all lies. Varn falsely testified that it was legal for the IT Dept. to provide funding to Departments outside of the budget process and then to spread the $5 million a year expenditures across all city departments via the "variable" telephone billing account......all lies. When deposed in 2007 CIO Varn admitted that he knew nothing about how a department would obtain funding if the money ran out during the budget year. Varn admitted that he knew nothing about an account created for that purpose. Varn admitted that the did not even recognize the term “variable” and did not know of any such account......In 2009 City Attorney Michael Bernard ( brother of White House Social Secretary Jeremy Bernard), attorney Deborah Klein, attorney Mark Kosanovich, Attorney Malinda Gaul and others concealed Varn's deposition thus allowing him to falsely testify under oath before Judge Antonia Arteaga that he investigated the "variable", found nothing illegal, found that it was created to help balance the budget and to help pay for "pop-up" expenses....all lies. Complete copies of CIO Richard Varn’s 2007 deposition and his 2009 Courtroom testimony are posted below. A review of his deposition and his courtroom testimony will show that CTO Hugh Miller, attorney Deborah Klein and attorney Mark Kosanovich coached Varn to present a well-rehearsed false testimony to the Court while attorney Malinda Gaul allowed the “fraud upon the court” to proceed with no objections, no call for a mistrial, no call for an evidentiary hearing, no call for criminal charges and no call for a new trial. ALL attorneys in the courtroom conspired to conceal Varn’s deposition and other material evidence. When Judge Antonia Arteaga was made aware of the aggravated perjury she played along with the fraud and denied a motion for a new trial. Judge Arteaga , City Attorney Michael Bernard , ALL attorneys inside the courtroom and many others have conspired to conceal Varn’s deposition , Administrative Directive 6.12 and other material evidence proving the “fraud upon the court” for the past eight years.